Manufacturer of a wide range of products which include ptfe coating springs. 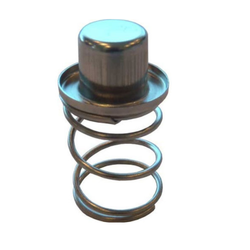 We Reliable Polymer Industries Manufacturer, Export and suppliers of PTFE Coated Springs. They are used in various industries and are available in different shapes and sizes. They are highly acknowledged for their features like durability and reliability. We offer these products at most competitive prices.